Watch the opening sequence and you will see why I chose this - some great camera work on the reconstructions...quite stunning. Imdb here on this version with Randolph Scott. I was under the impression the Michael Mann version followed this pretty closely in terms of plot and so forth. Now we can find out for ourselves. 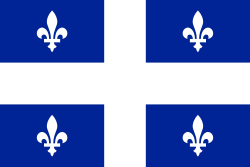 According to the wikipedia entry this obscure rebellion started today in 1786. 'Shaysites' or 'Regulators were protesting about financial matters in the wake of the Revolution. If you like looking at superior quality images of reenactors and sites associated with the period then go here to see the most interesting images of the Flickr SYW group. I would like to single one out but they are all very good images and I am sure you will find some spectacular shots on this stream - there is about 750 images so expect to spend some time there. Recommended. An important if unflattering picture by George Townshend, 4th Viscount and 1st Marquess Townshend (died 1807), 1751-1758. This brilliant video is of 2006/7 American War of Independence events at the Park featuring English and Northern Irish reenactors plus of course the German Oneida Iroquois group - award winning photos and video from Keith Campbell. One of the best places to reenact colonial America over here on this side of the pond is surprisingly in Northern Ireland! 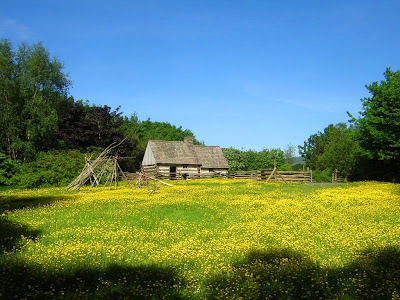 The Folkpark in Omagh is the home of many reconstructed buildings such as this log cabin which with its snake fencing is a brilliant backdrop for action and the Park usually has a colonial reenactment around the 4th of July. A man who leads his warriors into battle at the age of 72 gets my respect - read more about this imposing leader -Text from here. 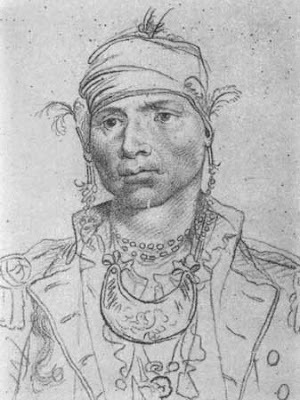 He fought at Point Pleasant on the Kanawha under Cornstalk in 1774, and it is said that, of the thirteen chiefs who participated in the battle of Maumee Rapids, or Fallen Timbers, in 1794, when the Indians met with such disastrous defeat at the hands of Wayne, Tarhe was the only one to escape, and he was badly wounded in the arm. 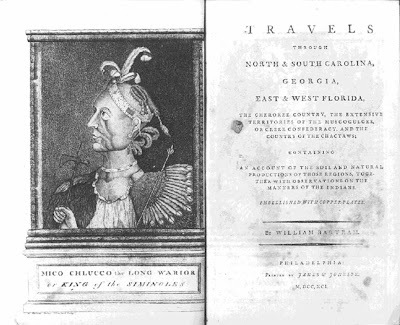 Largely through his influence, and in the face of great opposition, the treaty of Greenville in 1795 was made possible, and he ever after held its provisions inviolate, even to opposing Tecumseh's war policy from 1808 until the War of 1812. 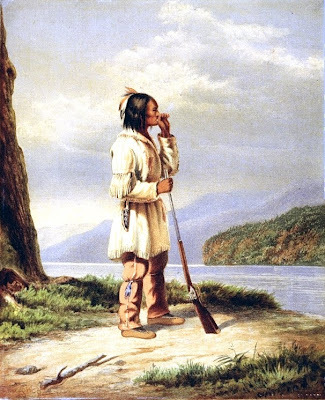 He remained faithful to the American cause during this conflict, and, although more than 70 years of age, marched at the head of his warriors through the whole of Gen. Harrison's campaign into Canada, and participated in the battle of the Thames, Oct. 5, 1813, in which Tecumseh was slain. From the close of the war until his death in 1818, Tarhe became well known to the settlers in central Ohio, "many of whom were honored by his friendship and benefited by his influence." Harrison described him in 1814 as a " venerable, intelligent, and upright man," and at another time, while speaking highly of several important chiefs with whom he had been largely in contact, he designated Chief Crane as the noblest of them all. This short film depicts Canada as it was a hundred years ago, as seen through the paintings of artist and adventurer Cornelius Krieghoff. The changing seasons, the Quebec countryside, village life — all were an unending inspiration to Krieghoff. 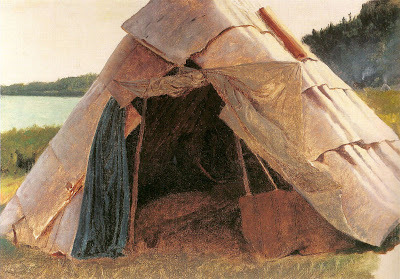 By Cornelius Krieghoff who is one of the greatest Canadian painters though he was born in Amsterdam. Also fought in the 2nd Seminole War but don't get me onto that. More on Krieghoff here. Actually I really like Krieghoff's work - OK it's a little Christmas card-like but it's also a fascinating look at the world of the winter hunter. The Battle of Point Pleasant, known as the Battle of Kanawha in some older accounts, was the only major battle of Dunmore's War. 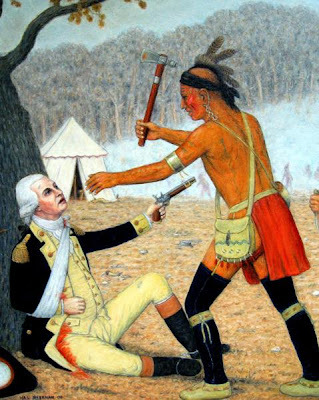 It was fought on October 10, 1774, primarily between Virginia militia and American Indians from the Shawnee and Mingo tribes. 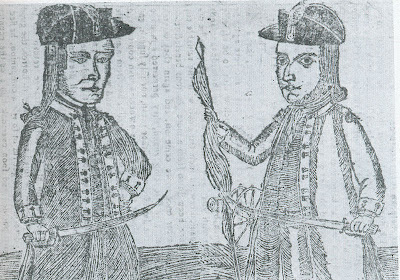 Along the Ohio River near modern Point Pleasant, West Virginia, American Indians under the Shawnee Chief Cornstalk attacked Virginia militia under Andrew Lewis, hoping to halt Lewis's advance into the Ohio Country. After a long and furious battle, Cornstalk retreated. After the battle, the Virginians, along with a second force led by Lord Dunmore, the Royal Governor of Virginia, marched into the Ohio Country and compelled Cornstalk to agree to a treaty, ending the war. Robert Dafford is working on a series of murals depicting these events - see here. 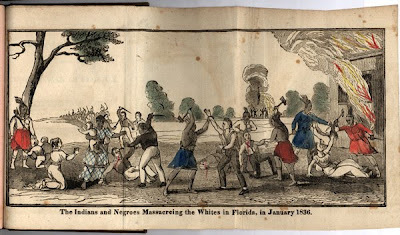 Image from here where you can see more of the depictions of events from around this time. 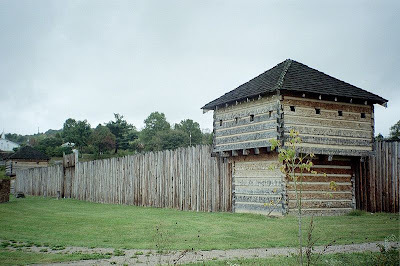 This stockade in West Virginia has a regular event reenacting the siege by Shawnee, Mingo and Wyandots under Dunquat, the Half King. Images of the event here at Pioneer Times which has a lot of interesting photos and articles around this theme. Of course this place is most famous for the murder of Cornstalk - a Shawnee chief. Well shot film about this landmark fortress. 'Witness the epic life story of the legendary Shawnee leader as he struggles to defend his sacred homelands in the Ohio country during the late 1700’s. “Tecumseh!” has been labeled as one of the most mesmerizing dramas in the nation. The huge, outdoor stages of the Sugarloaf Mountain Amphitheatre afford the audience a unique viewing experience. You will sit beneath the stars in the beautiful Sugarloaf Mountain Amphitheatre as sheer spectacle surrounds you with a herd of galloping horses, live military cannon in action, and the most dazzling battle sequences offered on the American stage. 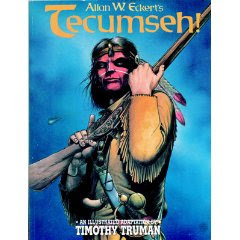 Often emulated within the outdoor drama industry, “Tecumseh!” continues to set the standard for innovative production techniques. Over 100 people are involved each summer in bringing this exciting drama to life. The sights and sounds of natural elements serve to heighten this one-of-a-kind theatrical experience. As depicted in the tv series Liberty's Kids. Talking of the Seneca made me reach for my Pouchot - he described them in detail from his time at Niagara. 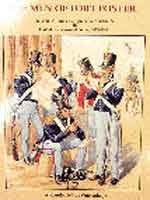 And the good news if you read French these important memoirs of the SYW are online. If you don't know who Pouchot was read his biography here. 19th century. Collected by Lewis H Morgan - see the entire collection including snowshoes and so on here. 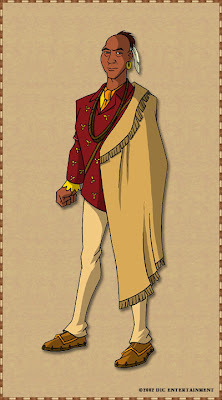 According to the wiki on him Morgan, a lawyer he became a founding "warrior" of the Grand Order of the Iroquois. 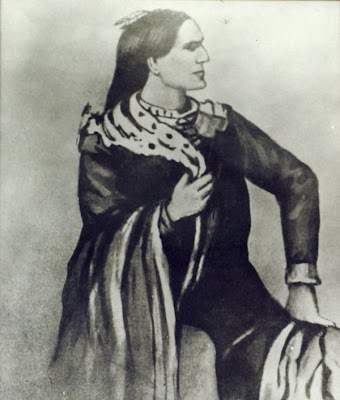 The fraternity of young white men adopted some of the social practices of the Iroquois, and were particularly interested in their confederacy. They dressed in traditional clothing and adapted some Iroquois rituals with the purpose of understanding the people better. 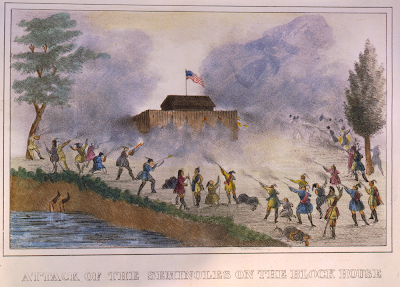 In 1844, Morgan moved to Rochester, New York, still within former Iroquois territory. 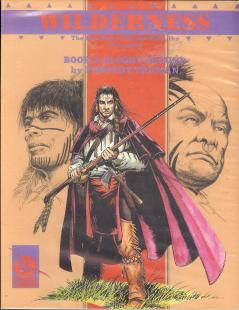 He expanded his interests to learn more about Iroquois society. With the help of fellow "warriors," including Ely S. Parker, of Seneca descent, Morgan started to do pathbreaking ethnographic work: he studied facts to understand Iroquois society on its own terms. 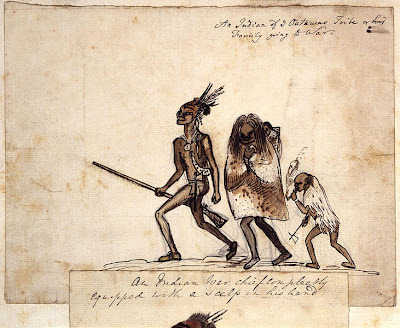 Inspired by Parker, Morgan and his fellow warriors worked to protect the Tonawanda Seneca reservation from being broken up by men eager for its land. Biography of the Seneca leader sometimes known as 'Old Smoke' who was active in the Revolution as an ally of the British here. Some wintry scenes for you - in this case the failed American attempt to take Quebec during the American Revolution. Recent trailer for a documentary series - this serves as a good introduction into the legend of Tecumseh. Great but insane song accompanies bizarre images that seem to have a vague connection to the novel - you will probably hate this but I enjoyed it. Without doubt the best US army of the War of 1812 site (in my opinion) - dealing with the citizen soldier with all sorts of useful references for equipment and uniforms as well sources and references. Visit here. I like the paintings of Hal Sherman - they are folksy and naive in style but delightful to look at and usually covering obscure moments in Ohio history - usually around the Shawnee, Northwest territory subjecta and the War of 1812. This one is Death of General Richard Butler" or "Butler's Demise" 1791 at the battle of St. Clair's Defeat. There's a series of videos of a lecture with images on the subject of his Indian paintings below and you can see a gallery of some of his images here. Hooray! Someone has put up this TNT movie from 1995 up on Youtube. OK it's not brilliant but I like it and it's one of the few films to deal with the subject. 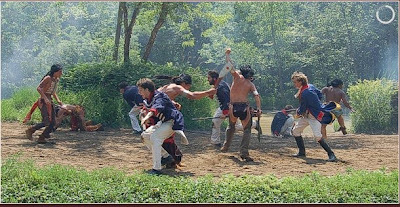 I usually post part 1 but I am breaking with tradition here and putting up the final part which has a reasonable recreation of the Battle of the Thames (about 2:00 in if you're impatient) - Fallen Timbers is also recreated in the movie. I have to admit I am worried about what the bicentennial of the War of 1812 is going to be like. Personally I would like to see more Native reenactors get into the period. You might think these 19th century images of no use to you if you are interested in only the 18th century but I consider them to be fascinating and worthy of study. 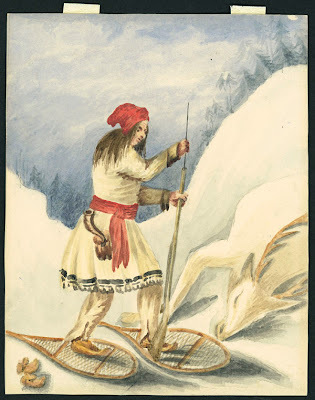 Portrait of Canadian Indian Nicolas Vincent of Lorette wearing snowshoes by Philip J. Bainbrigge 1840. A more famous image of Nicholas Vincent Tsawenhohi by Edward Chatfield 1825, is here. Clip from a new educational DVD on the battle of Bunker Hill. Website here. 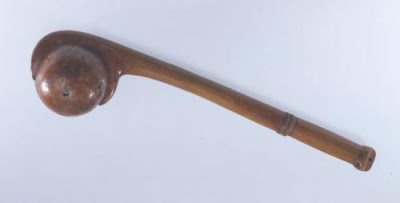 Quite a few people come on this blog looking for tomahawks - probably something to do with the title - Dixie Gun Works I notice has a large selection of head designs and types. What sort you need obviously depends on you and your requirements. 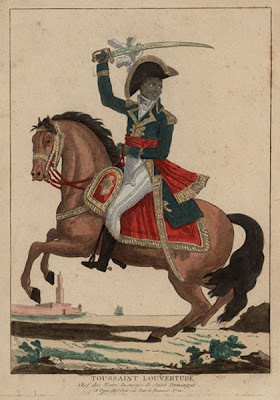 With Haiti in the news I thought you might excuse me meandering off the path a little to feature this unique country and how their history and their shedding the shackles of colonialism (in their case Napoleonic France, England and Spain) has shaped the present. If you don't know the story I recommend you check it out - as far as I know there is a big budget movie in production (Toussaint) under the auspices of Danny Glover and featuring people like Jonathan Rhys-Meyers...it's likely we'll be hearing more of L'Ouverture but if you are interested in American colonial history give this sequence a chance. I realise not many of you are going to leap on a plane to Florida to join in these reenactments (though the Alligator wrestling was a clincher for me) but if you are interested then this page of links on Nativetech will be useful to you. Index of articles including longshirt pattern. to find out what was going on in 1836 etc. This is a great site with lots of photos and reports. 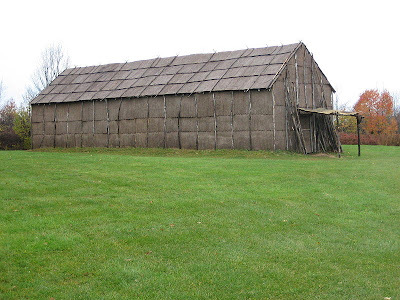 The Longhouse is now furnished as closely as possible to an original 1670 longhouse, complete with replicas of European and colonial trade goods and items created and crafted by the Seneca. Also in the longhouse are crops, herbs, and medicines grown, harvested, and preserved by the Seneca who lived atop the hill at Ganondagan. "A man can defend his country and fight her enemies a good deal better in the clothes he uses in his vocation than he can in a jacket full of lace and buckram. All the requisites wanting in the American soldier is love for his country and her government, a stout healthy body, and a good musket and bayonet; To hell with dandy's in uniform..."
There's also a Yahoo Group on the period here. Go here to see a clip of the recent New Orleans reenactment. 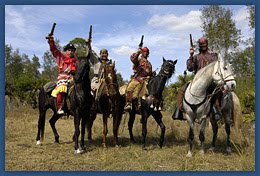 The battle reenactments honor the Seminole’s struggle and sacrifice to remain in their homeland and will feature authentic weapons, soldier and warrior attire and tactics typical of the Second Seminole War. 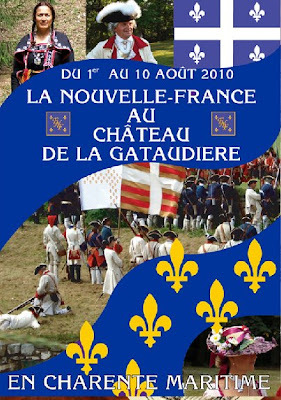 There is a thriving F&I scene in France - this group that recreates the Regiment de Bearn and other impressions is worth checking out - there's movies and all sorts on the site - this event is happening this August...looks great, good luck with that. From the blurb. In Summer 2007, Aaron York, a member of the Abenaki Nation, completed an 18-foot birch bark canoe as an artist in residence at the Lake Champlain Maritime Museum in Vergennes, VT. York fashioned the canoe body from a single sheet of birch bark, using a cedar frame and spruce root stitching. Members of the El-nu Abenaki Tribe and Woodland Confederacy held a ceremonial launching of the canoe in early August of 2007. The canoe is a replica of the type used by Samuel de Champlain in his exploration of the Lake in 1609. The canoe project received research support from Professor Frederick M. Wiseman of Johnson State College and the Wôbanakik Heritage Center. 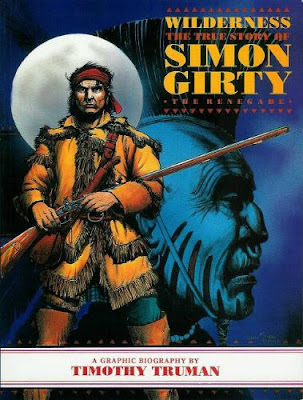 'The true story of Simon Girty'. 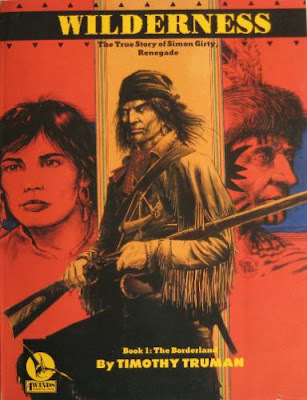 My now grown-up kids all buy a lot of graphic novels and comics so I always have an eye out for interesting frontier style tomes and this series seems to have a bit of a cult following though I admit not to having seen them in the flesh. I am not sure how many are in the series - I think they're all here but search the web to find out more if its your bag - certainly Truman is an accomplished comic artist and these seem a useful set to track down. 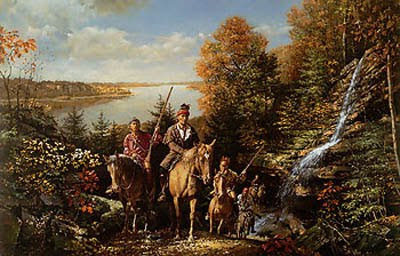 Daniel Boone leads a group of brave settlers into the untamed territory of the Cumberland Gap, establishing Fort Boonesborough in the heart of hostile Shawnee land. 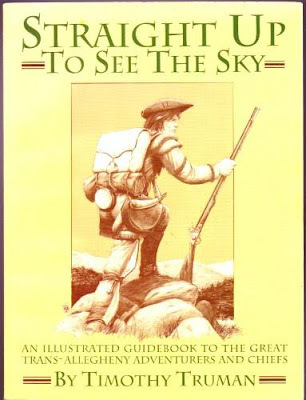 A scheming Frenchman named Simon Girty convinces the local tribes that the settlers are out to steal their lands and foments a conflict aimed at stopping the pioneers' westward progress. An amazingly lifelike drawing that crosses the boundaries of time through its clarity and skill by American artist John Trumbull. Wiki on the subject here. 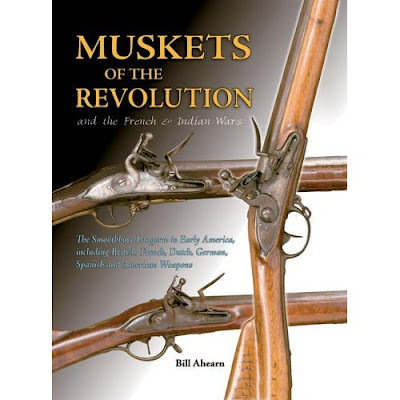 Haven't seen this book by Bill Ahearn but it looks worth checking out. The Dade battle posting was pretty popular so I will try and feature more of this colourful era. This book looks the place to start - Richard Hook is a brilliant illustrator and knows Native American material culture better than anybody I know. I met him once - he's a friend of a friend and he's a very knowledgeable bloke. When they started work on the film of Last of the Mohicans the producers summoned him to London to meet Daniel Day-Lewis but in the end he didn't get to work on the movie but knowing what movie makers are like they probably just bought loads of copies of his Eastern Woodlands Osprey. 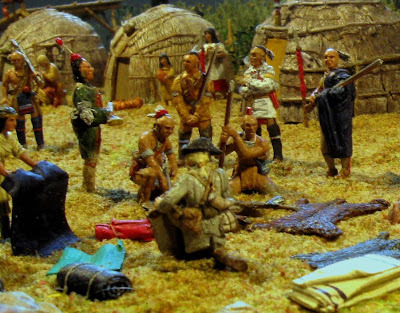 Anyway if any of you know of any good wargames or other links for the Seminole Wars get in touch. I am impressed by this idea. Self-made airsoft muskets and uniforms...I can imagine this catching on you know...well done lads! We haven't had much in the way of miniature stuff recently which is why I was glad to recieve this link to the miniatures of German modeller Thomsomfeld...there are some inspirational images of figures and scenery for you to enjoy - thanks! The figures are 1/72 scale...- there's a lot of conversion work going on - on the slideshow I think I can see French and Indian war and the Revolution - the battle of Oriskany and Tarleton's Legion are there.......bloody brilliant is what they are! 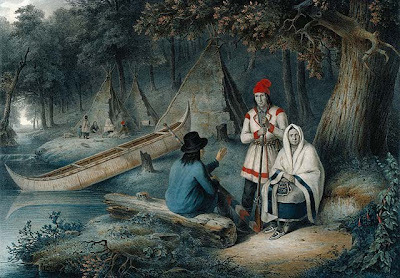 Late 18th century Ojibwe casse-tête sells for large sum - see story. As far as I know warclubs were by this date primarily ceremonial and had distinctive tribal design characteristics which were used as a calling card in a raid. 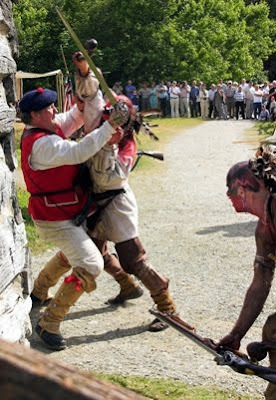 They are popular with reenactors but I believe the trade axe or tomahawk was much more prevalent in the 18th century. 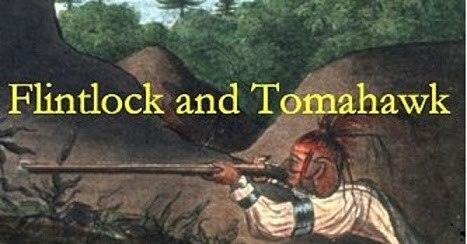 I know that 1835 and the Seminole wars are out of the period of this blog but it is 'flintlock and tomahawk' and this is a well made film of an interesting reenactment that took place just a few days ago in Florida. Wiki on the battle. Battlefield society guidelines for Seminole reenactors. PBS documentary about this important fort.